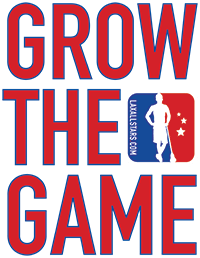 Editor’s note: As you likely know, LaxAllStars.com is fueled by players, for players. This story was submitted by CILL participant & Cleveland Demons forward David Blue. If you would like to submit a story to us, click here. In Northeast Ohio, nothing is given, everything is earned. Well, that quote summed up the experience of the Cleveland Demons this past weekend as the St. Louis Centurions pushed the CILL defending champions to overtime in the semi-finals before the Demons were able to pull out a victory and an appearance in the finals against the host Chicago Outlaws. To earn a second championship, the Demons needed to mount an epic comeback to defend their crown! Scoring 8 unanswered goals proved to everyone how resilient and mentally tough the Demons really are – The 2016 CILL title was a total team effort by all 15 dressed and 2 non-dressed players. Congratulations Demons on re-joining the Cleveland Championship Victory Parade! In mid-August, the Demons traveled to Grand Rapids to play the first tournament of the season. The Demons faced a determined upstart program in the St. Louis Centurions and held on for a hard fought 12-10 win. Knowing the boys from St. Louis would come in and play hard in the league semi-finals, the Demons had a tough opponent battling them all game long. St. Louis maintained control for majority of the game by playing relentless on the offensive side of the floor, and were playing very physical on the defensive side. The Demons challenged back with a more spread offense and a hard hitting defense. Kevin Werner and Brian Lalley started to win possessions at the face-off X later in the 2nd half to give the Demons a spark. Bobby Lyle, the Demons goalie, came up with a huge second half and forced the Centurions into poor shots from the outside and low angle shots from the inside. The defensive prowess by the Demons gave the offensive players enough opportunities to force overtime and then clinch a spot in the finals with a big drive to the cage by Nate Jones for the game winning goal. Overall, the “Legion” played hard and will be a force to be reckoned with in years to come, but on Saturday night, the Demon’s experienced and veteran players came through when needed with big time plays. Late Sunday afternoon, the no. 1 seeded Cleveland Demons were primed to take on the no. 2 and host team Chicago Outlaws in the 2016 finals. The home squad, excited, energized, and with a deep roster came ready to play and quickly jumped out to the lead. Using a slick 2-man game, fast defensive slides, and face-off possessions, the Outlaws gained several 2 and 3 goal leads. The Demons, tired from the semi-final game the night before, struggled early on both sides of the floor, but stayed in the game and only trailed by 2 heading into the second half. When the Outlaws scored 3 goals by the middle of the third period, the 10-5 score seemed to be getting away from the Demons. However, the resilient defending champions, used a “one play at a time” attitude to chip away and scrap their way back into the game. Bobby Lyle, who struggled early against the Outlaws offensive players, played magnificent in the 2nd half and shut down Chicago for over 25 minutes. By late in the 4th quarter, it was very obvious that the momentum of the game had swung fully towards the Demons. Brian Lalley’s diving goal to break the 10-10 tie, Tyler Murphy’s shorthanded goal to give a 2 goal cushion under a minute to play, and Nate Jones’s clincher with under a second to play sent the Demons bench flooding onto the field to celebrate a 2nd CILL Championship! Eli George: Played physical defense and came up with several big hits. Brian Holzheimer: Aggressive on ball defense and hustled for several loose gb’s in transition. Tyler Murphy: Switch from forward to transition runner was the biggest move of the season!